After Leonardo’s The Last Supper and Giottto’s Scrovegni Chapel, in Padua, iGuzzini have recently completed a state-of-the-art lighting project for the prestigious Royal Accademy of Art in London, one of the world’s leading centres for visual arts. The last exhibition to be showcased in the Main Galleries of the Academy was “Charles I: King and Collector”, a legendary art collection that saw high-profile visitors such as Prince Charles, Queen Elizabeth II, and Prime Minister Theresa May. 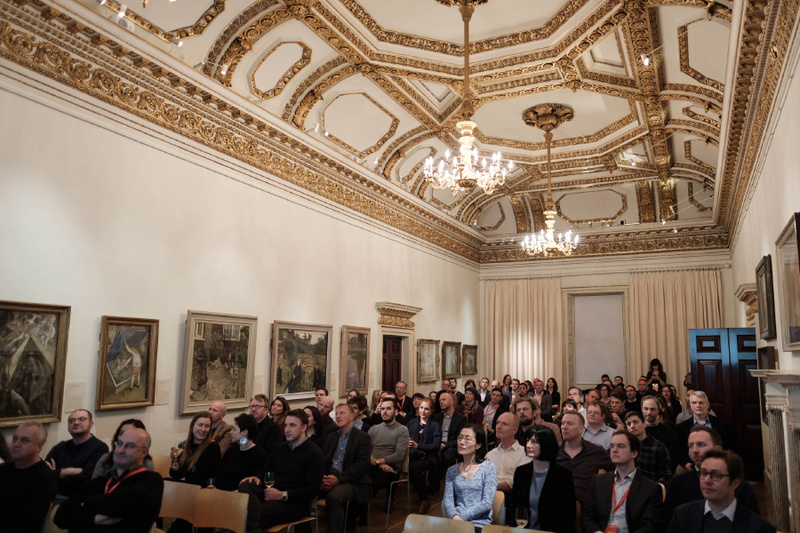 The Reynolds Room, one of the Fine Rooms at the Academy, has recently hosted the official presentation of the lighting project from three different perspectives: that of the lighting design practice though the voice of Andrew Sedgwick – Arup Lighting Director, that of the lighting manufacturer through the voice of Giorgio Pierini – Design Liaison Manager at iGuzzini UK, and most importantly, that of the client through the wonderful testimony by Claire Sadler - Estates Operations Supervisor at the Royal Academy. The new lighting system, unveiled on 23rd September 2017 for the Jasper Johns exhibition, “Something Resembling Truth”, was commissioned by the Academy to the engineering firm ARUP. 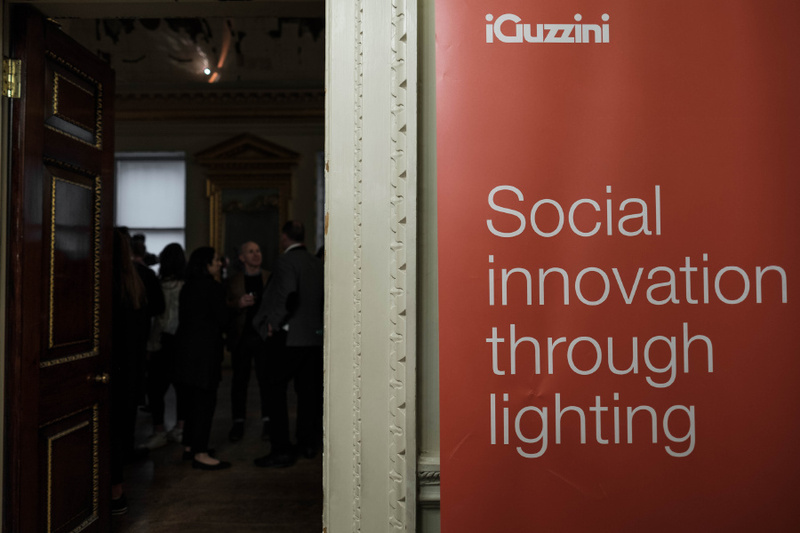 They chose iGuzzini to specify the lighting project intended to reduce energy consumption and ensure installation flexibility while also minimising maintenance. The project involved the installation of 1500 iGuzzini Palco LED projectors featuring the patented Opti Beam Lens technology, which produces a uniform, well-defined light beam, devoid of chromatic aberrations. The wide range of accessories available for the Palco product family offers great versatility through a variety of flexible solutions and accents; this ensures that specific lighting effects can be created for each artwork or art display. The fact that the individual Palco components can be replaced, also facilitates maintenance and allows regularly updating the luminaires with the latest technology; this makes the system fully ‘future-proofed’. The luminaires chosen have a colour temperature of 2700 K – so that they can blend in with the halogen lamps still present in certain areas of Burlington House – as well as a high colour rendering index (CRI 97), even for critical colours such as red (R9 > 90). The installation enhances the chromatic nuances of the works on display, improving the conservation conditions. As speakers, visitors, and publications such as Lux Review confirmed, the new lighting system has succeeded to fulfil the brief in terms of performance, efficiency, sustainability, maintenance, and user-friendliness achieved through the Casambi Bluetooth interface which allows controlling the lighting via a simple App, thus emphasising the versatility of the lighting scheme. The system also features iBeacon technology, which could be activated to communicate by text with visitors’ mobile devices present within the beacon range. This functionality could be enabled to convey information relating to relevant art pieces or for other live notifications.